The first manned space mission to the International Space Station since an unprecedented accident in October, which raised concerns about Moscow’s Soviet-designed spacecraft, will launch on Monday. 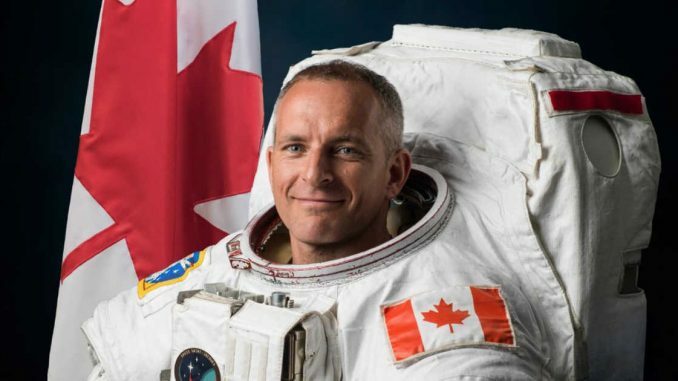 Oleg Kononenko of the Russian space agency Roscosmos, Anne McClain of NASA and David Saint-Jacques of the Canadian Space Agency brushed aside any possible safety concerns, saying risk was just part of the job. The launch comes after a Soyuz rocket carrying Russia’s Aleksey Ovchinin and US astronaut Nick Hague failed on October 11 just minutes after blast-off, forcing the pair to make an emergency landing. They escaped unharmed but the failed launch was the first such incident in Russia’s post-Soviet history and a new setback for the country’s once proud space industry. Ahead of Monday’s launch a Russian Orthodox priest blessed the spaceship on its launchpad, in accordance with tradition, while the crew spoke calmly of the dangers involved. Anne McClain, a 39-year-old former military pilot, said the crew looked forward to going up. The accident highlighted the “smart design of the Soyuz and the incredible work that the search and rescue people here on the ground are ready to do every launch,” he said. Of the trio set to reach the ISS six hours after blastoff, both Saint-Jacques and McClain will fly for the first time. Kononenko is beginning his fourth mission to add to an impressive 533 days in space. Russia said last month the launch failed because of a sensor that was damaged during assembly at the Baikonur cosmodrome but insisted the spacecraft remained reliable. McClain served in Iraq and has represented the United States at women’s rugby. Russia-US cooperation in space has so far remained one of the few areas not affected by a crisis in ties between the former Cold War enemies. But comments by the combative chief of the Russian space agency, Dmitry Rogozin, have increasingly raised eyebrows. He recently joked Russia would send a mission to the Moon to “verify” whether or not NASA lunar landings ever took place. In recent years Russia’s debt-laden space industry has suffered a number of mishaps including the loss of cargo spacecraft and satellites.